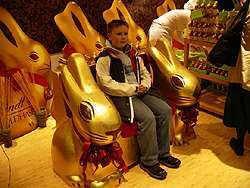 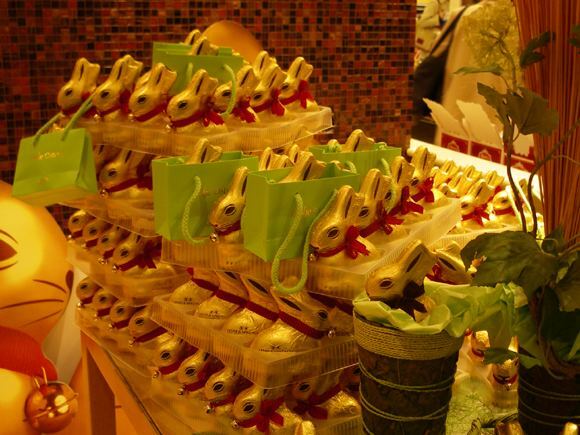 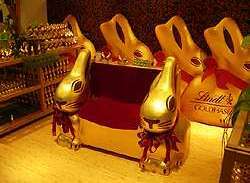 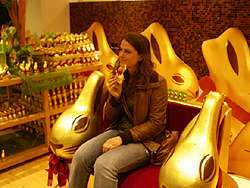 On the Food Floor of KaDeWe, they have a Lindt "chocolate studio" right now, filled with their Gold Easter Bunnies. 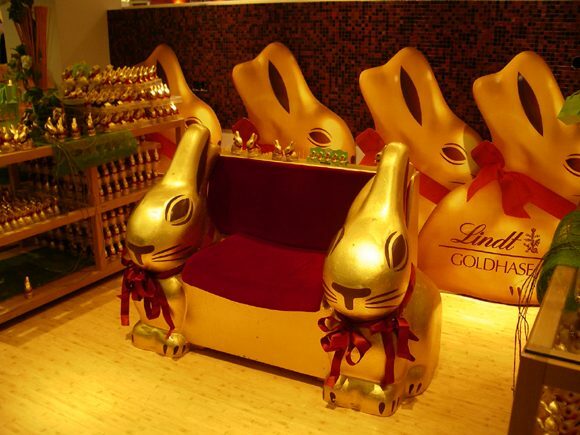 The centre piece: Gold Bunny chair! I've seen a few kids sitting down and having their photos taken by their parents. 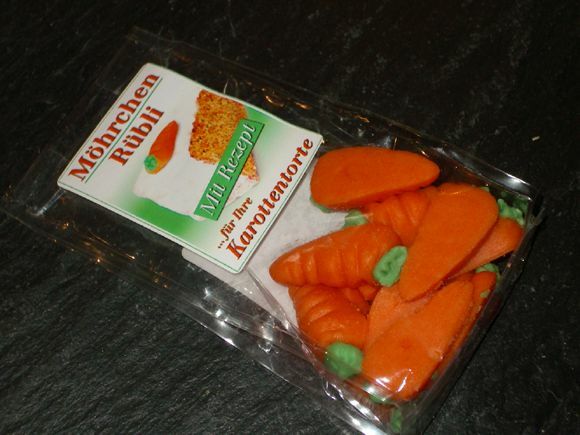 And this is what Akiko brought home for Usako & Kousa.